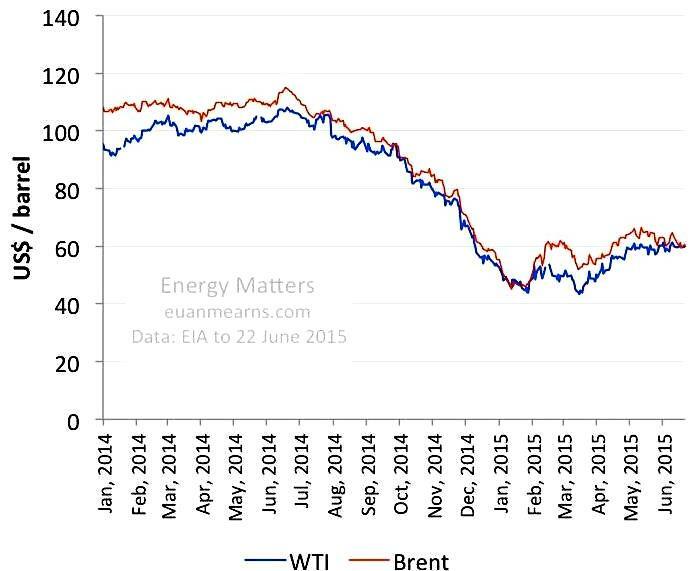 We started in mid 2014 with an oil price crash from $110/bbl to $55/bbl. This has been followed by a gold price decline from $1300/ounce to $1080/ounce and silver price decline feom $20/ounce to $14.50/ounce. Other commodities like sugar, copper, iron, wheat and platinum have also taken a beating. What has caused this and what is its impact for property investors? Firstly a glut of oil production was mainly caused by a massive increase of 5 million bbl/day of oil production from the USA over the last five years - from oil shales (multiple hydraulically fracced horizontal wells), coinciding with Saudi Arabia raising output and Russia keeping its production high. Meanwhile Iraq, despite the war in the north of the country, has increased its production and Iran looks like joining the increase after a breakthrough in negotiations with USA/Europe on lifting economic sanctions. Meanwhile China’s economy has slowed – in part because it’s a maturing economy and its population is no longer expanding. Most economists believe China’s growth in the use of commodities will drop sharply – China might manage to grow its GDP whilst its commodity imports stay at fairly stable levels. The world’s big commodity growth engine has stalled and this could be set to continue. The European slowdown – exacerbated by the Grexit on-off fiasco and distraction – has not helped. The dollar has strengthened because many people think the dollar is the best of a bad bunch of currencies – at least the US has new and plentiful supplies of oil available at >$60/bbl and remains a real petrocurrency. Recession: The pessimists would say the decline in commodities is pointing strongly to a recession – and the next thing that will happen is a stock market crash and banks getting into trouble again. This is certainly a possibly outcome, at which time gold and silver prices could go ballistic. 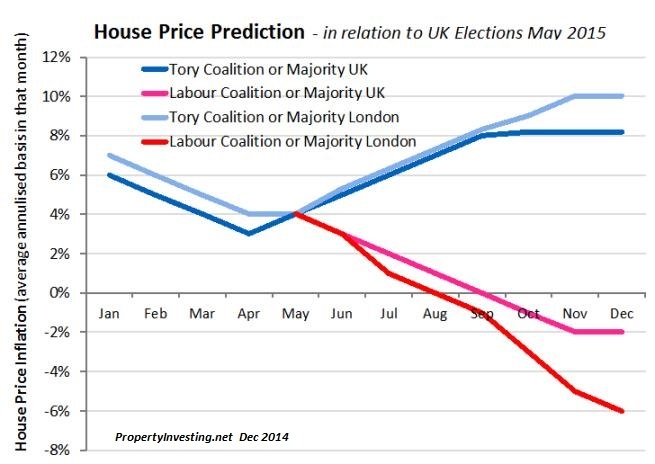 In this scenario, property prices would come crashing down like they did in 2008. Likelihood 30%. 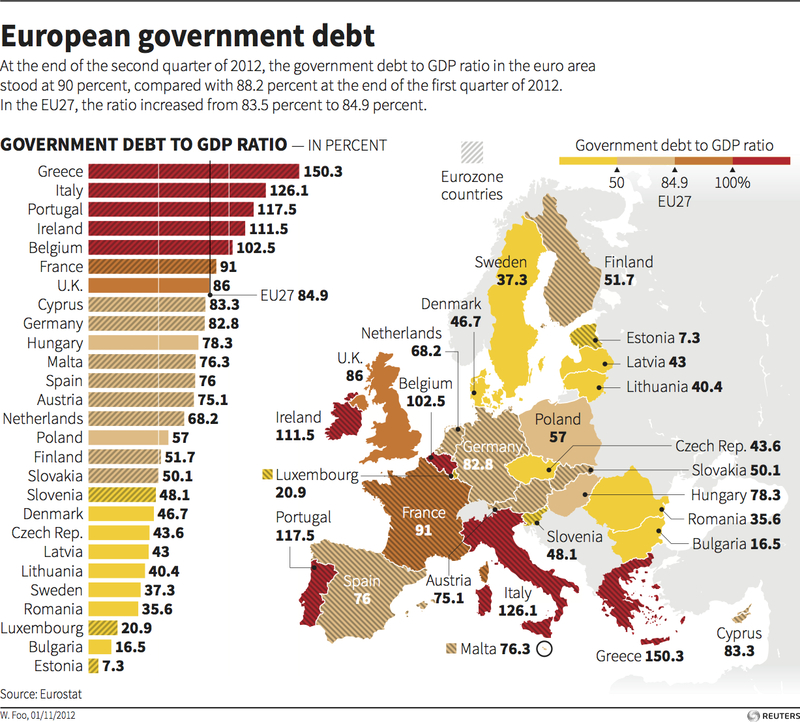 Debt: Its worth highlighting the big elephant in the room which is the gigantic government and private sector debts within Europe (also in the USA). The European Project as always doomed simply because one cannot have different national government and economies with one central interest rate, currency value and trading - without having some countries becoming completely out of kilter to the market. The less competitive less strong economies like Greece having the same currency and interest rates as mighty manufacturing giant Germany is bordering on a joke. The underlying reason for the European Project is commendable - to prevent WWIII - another World War. after the first war in 1915 then second in 1939 - government wanted to combine politically and financially to prevent wars. As the trend unfolds of course we will find the PIIGs country having larger and larger debts - payable to the stronger countries like Germany and to a less extent France. The tensions will mount and how much longer these debts that will never be paid off will be allowed to rise is the big question. For the time being its more kicking the can down the road. 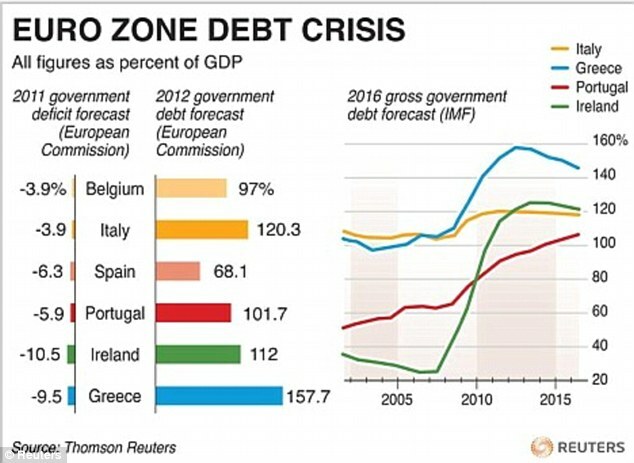 The PIIGs countries are bankrupt to all intense and purposes - and their Euro debts will expand as time moves on. If interest rates ever rise, they will be unable to even service these debts never mind pay them off. Of course Greece is unable to pay off its debts even at record low interest rates - an example of how unsustainable it is. Politicians know this. They are trying to keep the show on the road for as long as possible. One day, there will have to be a "reset" or at least a massive debt "haircut" for the bond holders. The European Central Bank is just trying to delay this for as long as possible. This situation which is rather uncontrollable is one reason why more foreign investors are flooding into the UK Sterling and London property. Despite the UK having a bad public sector debt situation - at least it and its banks are on the right path of keeping the government debt down as much as possible. International financiers have confidence in the Tory governments plans - hence they park their money in London. We have "average" debts and are on an improving trend. Stagflation: Another scenario – is the kick the can down the road scenario – meaning nothing much has changed. The global economy will not really take off, but muddle along – and more bouts of money printing by the Europeans, Japanese, Chinese and then the Americans will be needed to stimulate demand and keep countries from slipping into deflation. In this scenario, interest rates would stay low and property prices would continue to rise - as investors worried about bad debt and the bond bubble, gold prices would rise sharply - possibly followed by oil prices. Likelihood 40%. Scenarios: You can see that two out of the three scenarios of low oil prices lead to higher property prices - in about 70% of the outcomes. This is good news for the property investor. Low oil and commodities prices should act as a strong stimulus to developed countries – particularly those that import large quantities of raw materials like South Kor ea, China, Holland and Germany – the manufacturing powerhouses. Low oil prices lead to lower inflationary pressures and less reason to raise interest rates – and hence property prices would normally rise sharply as an asset class. Of course if oil prices rose sharply because of supply (or security of supply) issues, property prices would normally drop as the global economy suffered. 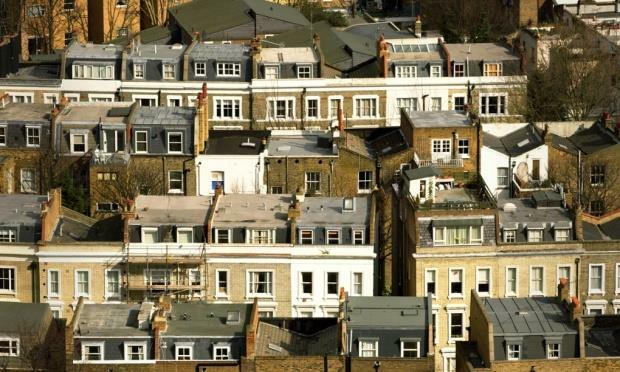 Property Prices: The bottom lines is – as long as no major recession hits or financial crisis breaks out – UK and US property prices should continue on their merry upward spiral. All the talk of interest rates rising needs to be taken with a pinch of salt – Central Banks have been saying this for the last 4 years and they keep kicking things down the road. They don’t want to kill off a recovery especially when inflationary pressures are very subdued overall – e.g. food, fuel, consumer prices. Property Boom Super Rich Elite in Super Cities: As we have been saying for years – all the money printing will manifest itself in sky high property prices in the “super cities” as the wealthy super-rich elite are the ones who have access to the almost zero cost floods of cheap cash from money printing sprees – and this is then parked in London and New York real estate (or any big city the super-rich invest in – Shanghai, Hong Kong, Singapore, Paris, Geneva, Monaco, Oslo, Luxembourg are good examples). It’s no use buying property in Newcastle or Baltimore and expecting to see big gains – these super-rich elite only buy property in the prime-select locations. We don’t believe this trend will change over the years. More of the same is expected as the rich get richer and the poor and middle classes are taxes more and have no easy access to the ultra-cheap printed currency - relying instead on "tickle down" from the elite. Financial Paper Assets: For London property – the commodities decline and shift into financial-paper asset classes – like stocks and share and bonds for the time being – will stimulate the banking-financial services sector and also help lead to higher London property prices off the back of banker bonuses and financial services profits. Strong economic growth and low interest rates will stimulate the financial classes into bubble territory. It's worth flagging as soon as interest rates start to rise sharply, these assets will become distressed quickly and a financial collapse would be far more likely. Even a 2% interest rate increase could cause real harm now - in view of the massive debts governments now have on their books - along with the private sector, and all the zombie banks propped up by fiat money. This is a consequence of the "too big to fail" policy of saving inefficient banks and business, and public sector entities. UK Outlook: With a new Tory government installed with a majority for the next 5 years, the Labour party in disarray with no good leader is sight, and turbulence in many developing nations around the world, we still think the global super-rich will be piling into London property for many years - the consequence is you will be hard pressed soon to find any flat for less than £250,00 in the Great London area as the housing crisis continues to worsen and floods of cheap money move into London from overseas. If inflation stays low, oil prices stay low and interest rates stay low – then property prices will continue to shoot up for the next few years at least. Don’t be surprized by this with oil at $50/bbl and other inflationary pressures so subdued in large part because commodities prices have dropped so much. International investors have great confidence in how the Tories are managing the economy - and the overseas options for a similar government are limited. Despite the UKs fairly poor balance of payment deficit and debts, the improvement in its financial situation and project growth will attract property investment into London as a safe haven - and with it - Sterling's value is likely to strength. This will also be attractive for investors in an uncertain world.